Volatility picked up again last week as the Dow Jones Industrial Average fell by more than 3% on Wednesday alone. For the week, the Dow was down 4%, having bounced back from an intra-week drop of almost 6%. Wednesday’s drop marked the second day this year where the Dow fell by more than 3%. Sharp declines have become more common compared to past decades. Daily drops of 3% or more in the Dow occurred only twice during all of the 1960s; five times during the 1970s; fifteen times during the 1980s; and ten times during the 1990s. There were forty-three declines of 3% or more between 2000 and 2010. Since 2010, we’ve seen 15 such declines. 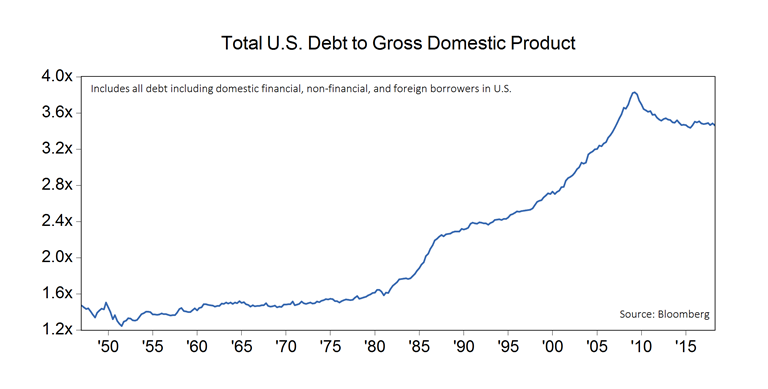 One possible reason for the increased volatility is the addition of more debt to the financial system. This is seen as the rise in total debt outstanding relative to output (chart, below) and a declining number of AAA rated issuers. Back in 1980, there were more than sixty AAA-rated corporate issuers in the United States. Today, that number has fallen to two. 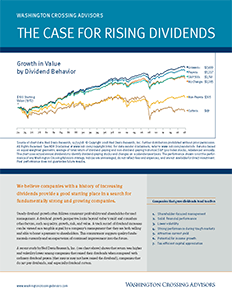 A downturn in the economy and asset values, coupled with more debt in the system, tends to amplify losses to stockholders. Consequently, we believe it is very important to have a sharp focus on quality companies in the context of a well-balanced portfolio. 2018 is setting up to be a year of transition for markets following two strong years in 2016 and 2017. After a period of weakness in 2014-2015, we saw 2016 and 2017 as years of re-acceleration. Global economies rebounded, profits rose, and stock markets advanced. Tax cuts helped the domestic outlook in 2017, but other countries’ fortunes appear to have dimmed. Emerging economies are struggling with a credit overhang; Europe is contending with Brexit and a rising tide of populism; and China’s drive for growth is complicated by a trade skirmish with the United States. On the positive side, we are happy to see that domestic credit markets continue to perform relatively well despite some hiccup in risk appetite, and most domestic leading indicators are still flashing positive signs at this point. We still see the United States economy as having relatively strong fundamental momentum and remains an attractive destination for global capital. Next week we will update our WCA Fundamental Conditions index which will capture some of the changes we are seeing in the data flow. As it stands, the global picture has become more clouded as trade and other issues hang over markets. The recent pickup in volatility, and continued weakness overseas, likely will remain a drag on the near-term view. 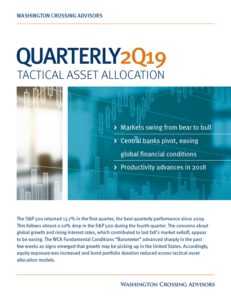 For now, we remain with our key tactical calls which are summarized in our latest Q4 Tactical Asset Allocation quarterly report.